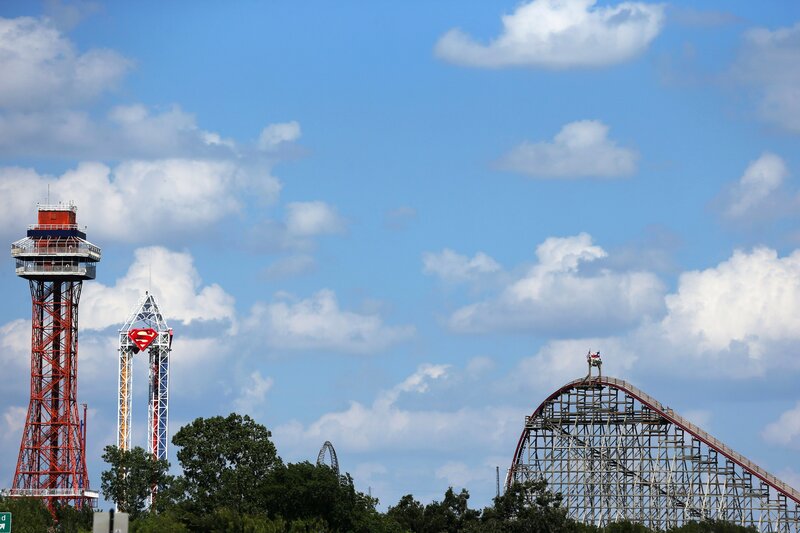 Two African-American teens have come forward saying that they were victims of hair discrimination and denied employment at Six Flags Over Texas. Both teens claim they were told they would have to cut their hair if they wanted to work at the popular Arlington amusement park. Pierce’s mother, who joined him for the on-air interview, says that Pierce’s grandfather once worked at the park, and the family was anticipating the eager teen’s employment. “We encouraged him to go to Six Flags. We counted down the days,” the mother of the high school junior told Channel 8. Pierce revealed that he’s had the same hair style since a child, and that although the park permits women employees to have long hair “pulled back into a bun,” that such “extreme” hairstyles are forbidden on men. “If girls are able to wear their hair pulled back and they can have it long, then guys shouldn’t have to cut their hair,” Pierce remarked. Pierce’s decision to come forward with his story was inspired by a 17-year-old who went viral for his own discriminatory encounter with the park. Last weekend, the mother of 17-year-old Kerion Washington, Karis Washington, posted to Facebook that her son was turned down a job at Six Flags Arlington because of his dreadlocks. “I spoke with the HR Supervisor and she said they gave him the opportunity to come back when he don’t have dreads … she said dreads are NOT allowed but he can have braids. — and said they are an extreme hairstyle — she also went on and compared them to tattoos and piercings,” Washington said in her post. Washington, who didn’t respond to requests for an interview from the news outlet, also commented on Facebook about Pierce’s situation. “The thing that bothers me is they don’t give them the option to put it up … they just say cut it,” Washington said. “African-Americans take pride in our hair and are passionate about our hair, especially being able to grow our hair out. Because not everyone has the same hair. Your hair will never look like mine and mine will never look like yours. Both this young man and my son’s hair is neat and groomed. Whats the real issue?” the mother inquired. Sharon Parker, a Six Flags spokeswoman, claims that the company’s policy applies to all 30,000 employees nationwide. “We maintain a company-wide grooming code that includes standard uniforms for front-line team members and no extreme hairstyles such as drastic variations in hair color, locks, or partially shaven heads,” Parker said according to email reportedly attained by Star-Telegram.